In a world that moves this fast, ideas must be prototyped, tested and launched in as little time as possible. Gone are the days when companies and individuals could afford to spend months designing a page only to find out that buyers weren’t even interested in the product it featured. Reaching product-market fit, or the connection between your solution and those who have a problem, is now an essential first step for startup success. Therefore, we must come up with ways to validate our ideas early, and expose them to the right audiences that can help us tell whether there is a need for them or not. 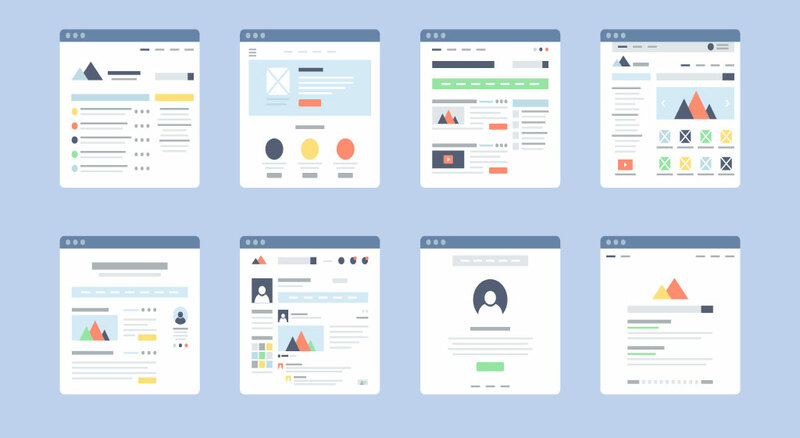 Landing pages — single web pages that focus on the completion of a specific conversion goal — are incredible tools to test our assumptions and gain early traction. In this article, I’ll share and compare some of the most effective landing page builders available. 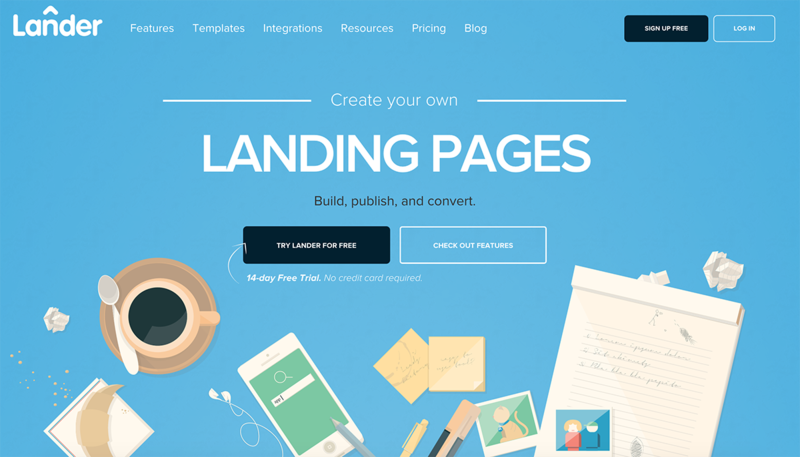 What is a Landing Page Builder? Simply put, a landing page builder is a tool that facilitates the entire process of creating, publishing and sharing landing pages. These builders often provide WYSIWYG (What You See Is What You Get) functionality, allowing anyone to control the look and feel of the page’s layout, forms and modules. Some will even go a step further, and offer tools to optimize social referrals and fundraising. You will now find a detailed comparison between some of the most popular landing page builders out there. Launchrock has a community of more than 20 million, as it is part of a startup network known as startup.co. This platform includes other entrepreneurial tools like Clarity.fm, Fundable, KillerStartups and BIZPlan. Its main goal is to facilitate early customer acquisition, allowing you to collect signups, subscribers and even pre-orders. Launchrock features a basic set of analytics, design templates, and commitment tools (forms) for all free accounts. You can publish your site using a Launchrock subdomain or your own domain. 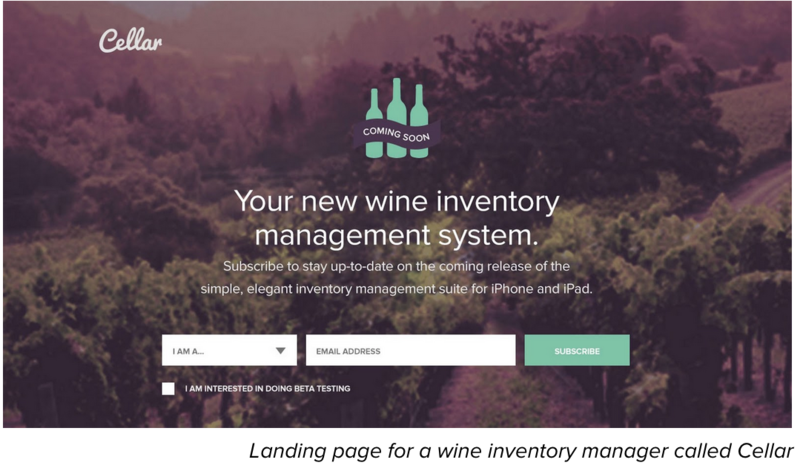 Launchrock has an audience of its own that can learn about your product as soon as you launch. Other than referral sites, you don’t get to track user-specific actions/funnels. Launchrock is free to use. KickoffLabs’ mission goes beyond early customer acquisition. Their goal is to help users create simple, effective landing pages throughout their company’s entire lifecycle. Among its core strengths is a robust viral referral tracking system, as well as tools like ViralBoost that help you trigger social sharing with modal windows that pop up. You’ll be able to launch your site using a Kickoff Labs subdomain, custom domain, WordPress, a Facebook Page, or hosting it elsewhere by downloading the HTML files. A unique social referral feature where everyone gets a tracking link and a simple way to share. You can access a leaderboard and reward influencers for their help in spreading the word. 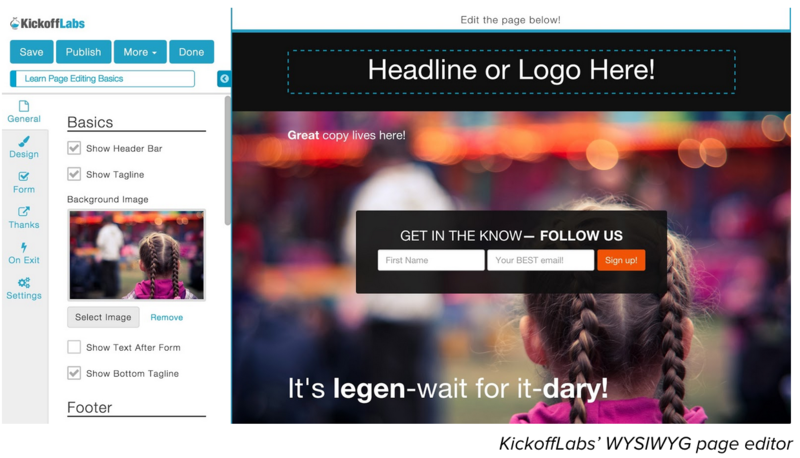 They provide exit modals: KickoffLabs Bounce enables you to popup an offer before someone leaves the site. Integrates with Google Analytics, Segment.io, and provides an internal analytics package. Templates are clean and responsive. 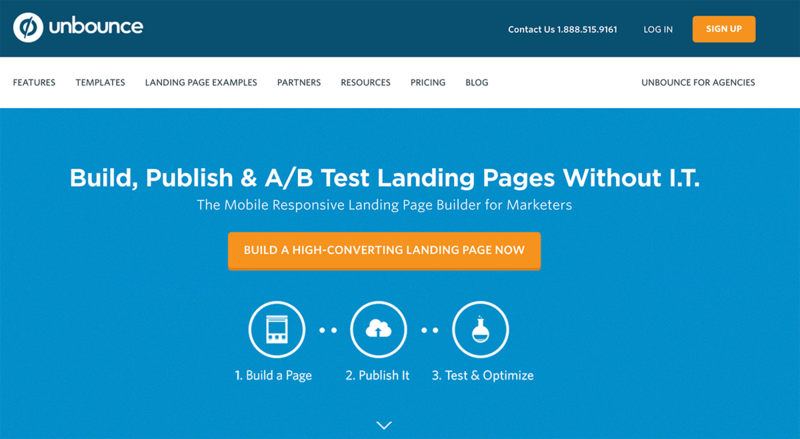 They’ve integrated their smart campaign forms with Instapage and Leadpages. Some of their widgets may come off as spammy right out of the box. Tweak copy and design to make sure that they fit your site’s experience. Some of the templates they offer could improve in terms of design elements like typography. On the bright side, they do allow for full CSS customization, so it isn’t something that can’t be fixed. Free Forever: 1 campaign and 1,000 unique views per month. Starter: $39 per month or $27 per month when billed annually. Premium: $69 per month or $48 per month when billed annually. Business: $149 per month or $104 per month when billed annually. This tool’s most unique feature is its wide catalog of pre-designed templates. 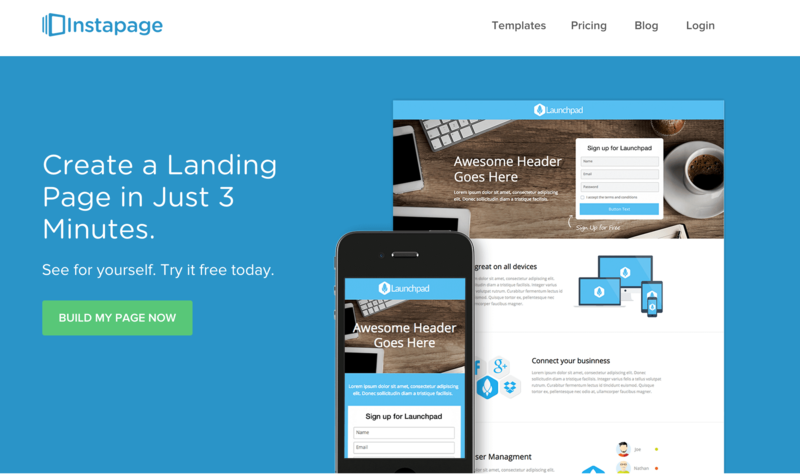 To fulfill the promise of allowing you to “create a landing page in 3 minutes”, Instapage provides over 80 templates. You can launch your site using an Instapage subdomain, a custom domain, GoDaddy, WordPress, or a Facebook Page. Lander was created by MakingSense, a Latin American software development company. This explains its unique approach to internationalization. Out of the box, Lander provides an integration with a tool called Bablic to translate and add languages to your landing pages. With Lander, you can publish your site in one of their subdomains, a custom domain, or a Facebook Page. Integrates with Paypal to give your online shoppers a convenient way to pay and checkout right from your page. Integrates with email platforms like Marketo, Mailchimp, VerticalResponse, AWeber, and Constant Contact. No free accounts. They provide a 14-day free trial instead. Basic: $22 per month or save $87 when billed annually. Professional: $52 per month or save $207 when billed annually. Enterprise: $97 per month or save $387 when billed annually. Unlike all the previous options, Generator (by DesignModo) is truly a prototyping tool. 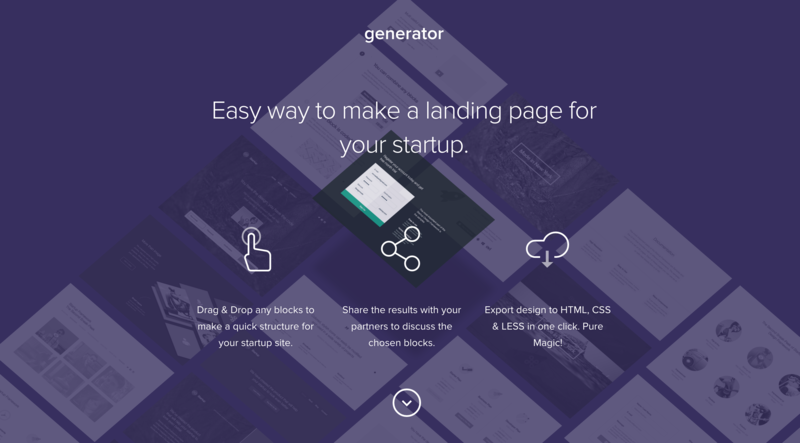 For designers and developers who want to build completely custom landing pages, Generator helps create a layout that users can download for direct modification. Essentially, Generator allows you to quickly prototype a landing page and download in HTML, CSS & LESS for customization. As expected, it doesn’t immediately publish your landing page. Instead, it allows you to export to HTML, CSS and LESS. Offers no functionality beyond prototyping: no live push, email integrations or testing of any kind. Leadpages has become a favorite for content creators that are building their platform with podcasts, ebooks, membership sites and the like. They promise to “turn your next idea into a published landing page in less than five minutes with LeadPages®”, and offer proprietary tools like LeadBoxes (popup modals), LeadDigits (capture new leads via SMS) and LeadLinks (single-click subscriptions). 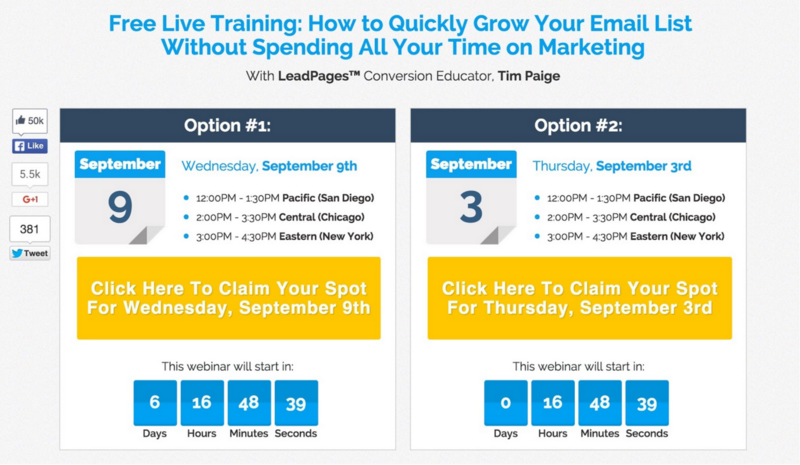 Leadpages also integrates with GotoWebinar to help you build an audience via opt-in webinars. Their three core landing page types are Optin, Sales and Webinars. You can publish your LeadPage® or LeadBox® to Facebook, WordPress or host it yourself. Offers built-in analytics and integrates with virtually any analytics service provider via custom and end of code insertions. Standard: $37 per month or $25 per month when billed annually. Pro: $67 per month or $40 per month when billed annually. Unbounce’s Dynamic Text Replacement automatically swaps out certain keywords on your landing pages to match the keywords your leads are using in their Google search queries. Automatically creates an SSL certificate for your landing pages. Integrates with email providers like MailChimp, AWeber and Constant-Contact. Integrates with Hubspot, Infusionsoft and Marketo, as well as Google Analytics and KISSMetrics. No free accounts. They offer a 30-day free trial instead. You’ll need to integrate a third party extension to add exit modals and other advanced forms. If you are building a tech startup and want to launch a gamified waiting list for a beta version, KickoffLabs is an incredibly robust solution. 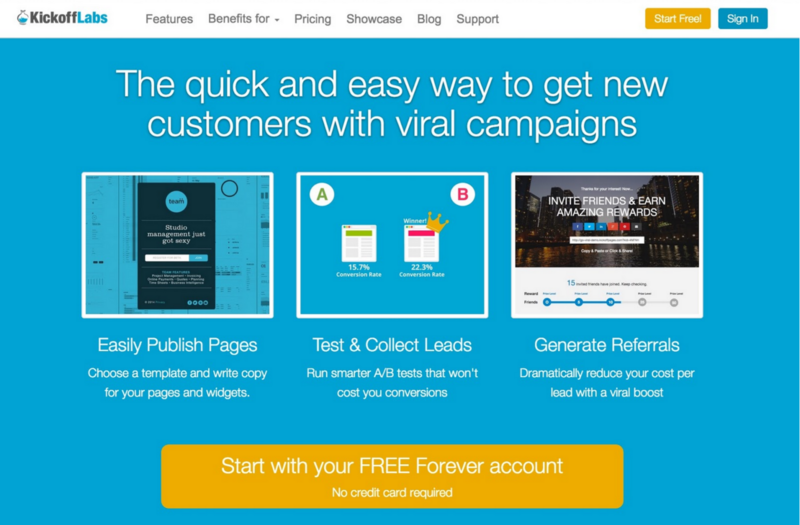 Their viral referral tracking is unique in that it lets you recognize and reward influencers for the effect they’ve had in your conversion rate. Let me rephrase that: you’ll know exactly how many leads each visitor has brought back to you. Here’s how that works. If you are a content creator trying to build an audience, and would love to have a webinar funnel system, Leadpages is your ideal match. One thing that you’ll find with Leadpages is that they’re not afraid to show real numbers. Their Funnel Case Studies section openly displays specific examples where different types of individuals and companies reached (and surpassed!) their goals using Leadpages.